Sysdig, Inc., the cloud-native intelligence company, today announced it raised $68.5 million in series D funding, led by Insight Venture Partners, with participation from previous investors, Bain Capital Ventures and Accel. 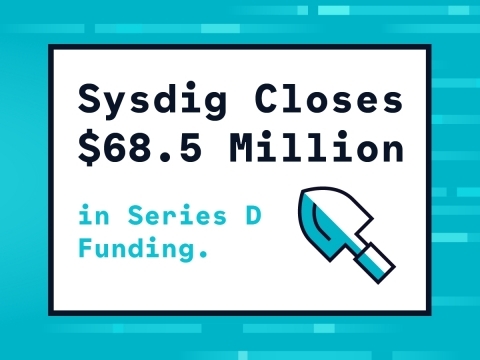 This round of funding brings Sysdig’s total funding to date to $121.5 million. Sysdig will use the funds to extend its leadership in enabling enterprises to operate reliable and secure containerized infrastructure and cloud-native applications. Suresh Vasudevan, CEO at Sysdig, authored a blog post with more information on Sysdig's funding. Accel partners with exceptional founders with unique insights, from inception through all phases of growth. Atlassian, Braintree, Cloudera, Crowdstrike, DJI, DocuSign, Dropbox, Etsy, Facebook, Flipkart, Jet, Pillpack, Qualtrics, Slack, Spotify, Supercell, Tenable, Venmo and Vox Media are among the companies the firm has backed over the past 35 years. The firm seeks to understand entrepreneurs as individuals, appreciate their originality and play to their strengths. Because greatness doesn't have a stereotype. For more, visit www.accel.com, www.facebook.com/accel or www.twitter.com/accel.